Ordinary concrete is a rather lifeless material that doesn’t exactly bring to mind lush gardens. 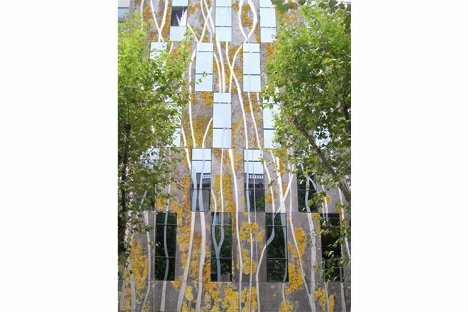 But a “biological concrete” building material being developed by a team at the Structural Technology Group, Universitat Politècnica de Catalunya, Barcelona is set to change that perception. 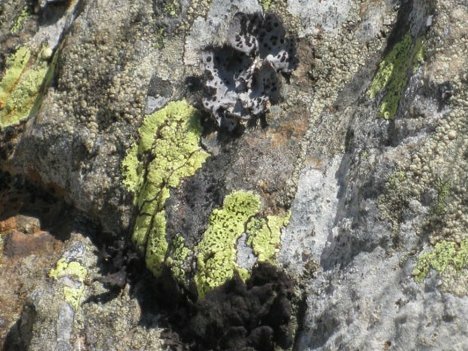 Unlike traditional concrete, this stuff actually encourages the growth of moss, fungi, lichens and other simple organisms. The biological concrete is actually a triple layer system including a waterproof layer that protects the building, a middle water-retaining layer, and a top layer of concrete made with quick-setting magnesium phosphate cement. This top layer allows water in, but does not let it escape. It’s the top layer that is key to the biological component of this concrete: it provides the perfect environment for mosses and the like. The mosses and other organisms should take hold on the concrete within a year. As the plants grow and change, the appearance of the concrete panels subtly shifts. The biological components reduce CO2 and provide a small amount of natural insulation. 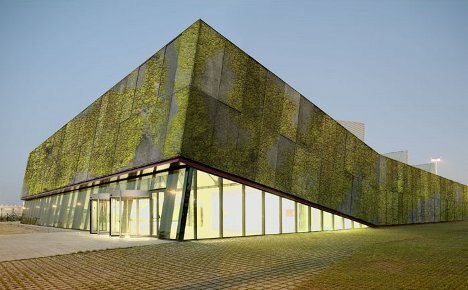 Unlike other vertical gardens or green walls, the biological concrete doesn’t require any complicated equipment or special care. As an added bonus, it discourages harmful plants, such as climbing ivy, from taking hold on the exterior walls of buildings.